jdheiner – Outdoor Passion. Shared. It has been a long time coming. Each year you try your hardest to adopt the mantra, “this is my year” while recognizing the odds are stacked against you. My dad believed it was his year for 18 years. It began in his mid-forties. To think of my dad at that age means to think of myself at 16 years old. That seems like a lifetime ago. During the past 18 years we have attempted to draw bull elk tags on the Monroe, Book Cliffs, and San Juan units of Utah. Draw results only brought disappointment and a 12 month refresh. 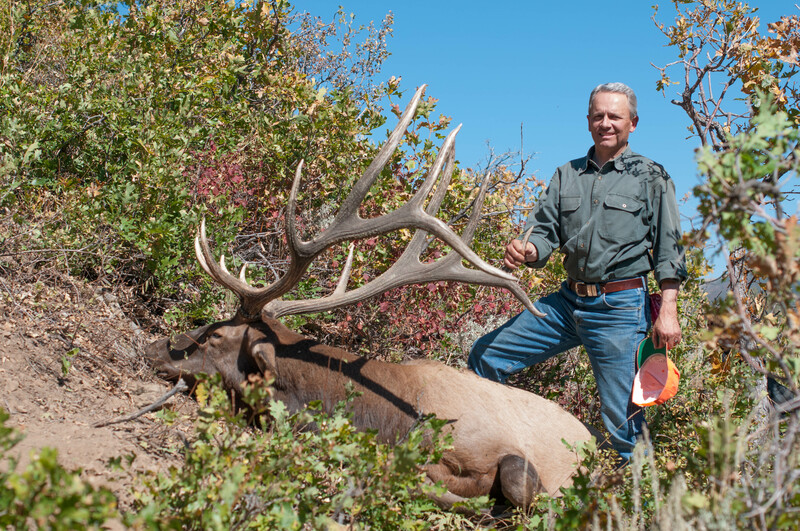 At times we questioned whether my dad would ever hunt big bulls in Utah by way of the draw? Each year he privately cursed the DWR. He joked that soon he was just going to run his own program. Given my dad is straight as an arrow his threats were hilariously empty. 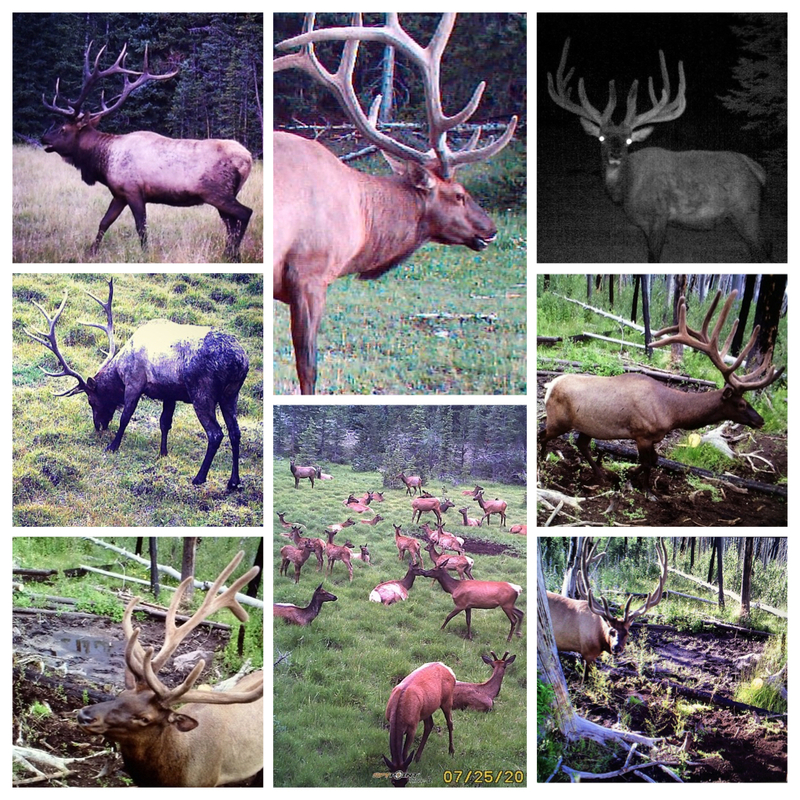 Over time we learned and studied Utah’s limited entry elk units. With 16 years and 16 points under his belt our focus had shifted to the Wasatch. We accepted that other units across the state might produce bigger bulls; however, we also liked the idea of hunting in our own back yard. In a lot of ways this was a once in a lifetime hunt. We settled in on a unit that would allow us to logically put in the time scouting. We felt putting in the time outweighed the benefits of a better more distant unit. After 16 years and with an affinity to all forms of hunting, my dad concluded he was willing to wait for a premium Wasatch tag. 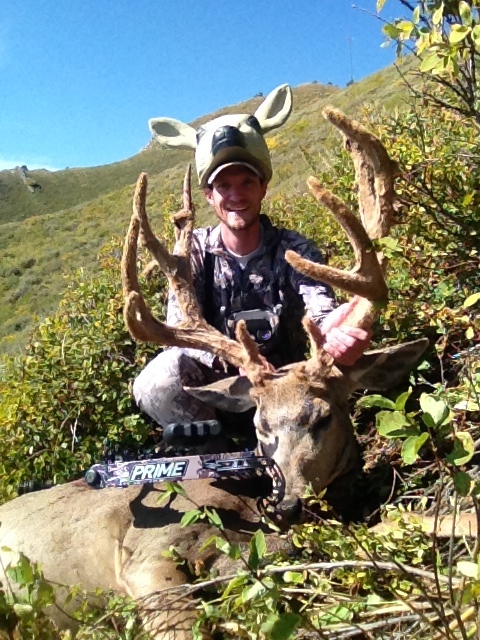 In Utah the premium tag allows you to hunt all 4 seasons. (archery, early rifle, muzzleloader, and late rifle) He didn’t draw that 16th year. In his 17th year the odds look favorable for landing a guaranteed tag. “Surely we’d be hunting this year Dad!” Again, year 17 resulted in disappointment and a 12 month refresh. In his 18th year, credit cards began to get hit with pending charges. This happens several days before draw results are officially posted. To those that draw their dream tag this day is likened unto Christmas. For the rest of us it’s likened unto hell. To have your card hit represents the first clues to the year’s draw results. It looked as though another year of hell was unfolding before our eyes. His card had zero pending charges. Can you picture it? A bunch of men and women sitting around refreshing online bank statements just waiting and begging to be charged? It’s the one time a year that I pray someone will take my money. Please, please take my money! It didn’t seem that Utah was going to take his money. After 2 days the reality of another 12 month refresh set in. All seemed lost. It was as if someone was sitting at the DWR office giggling the words “let’s jack with this guy.” It seemed to be in the last hour that my mother discovered my dad’s credit card was finally hit. The charge was indeed pending. 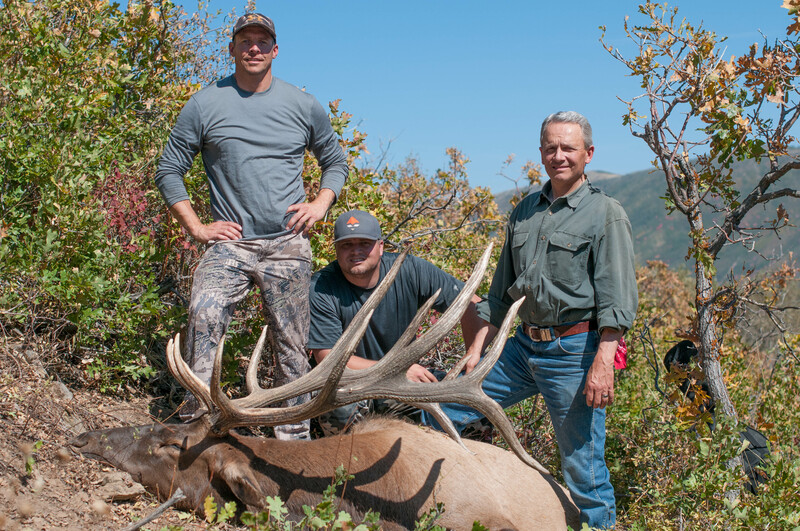 We were going to hunt big bulls on the Wasatch in 2015! He had drawn a premium tag and his hunt would start with the upcoming archery season. How would we break the news to him? My mom printed the statement, purchased a gift card at Cabela’s, and delivered both to my dad as he attended a church function that evening. 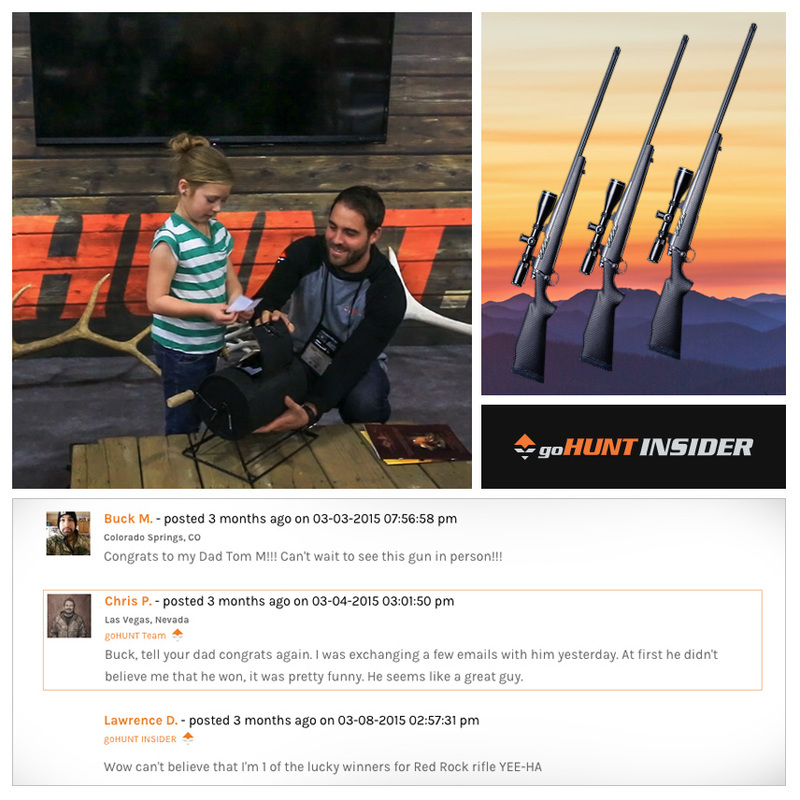 To you loved ones of a hunter… take notes! 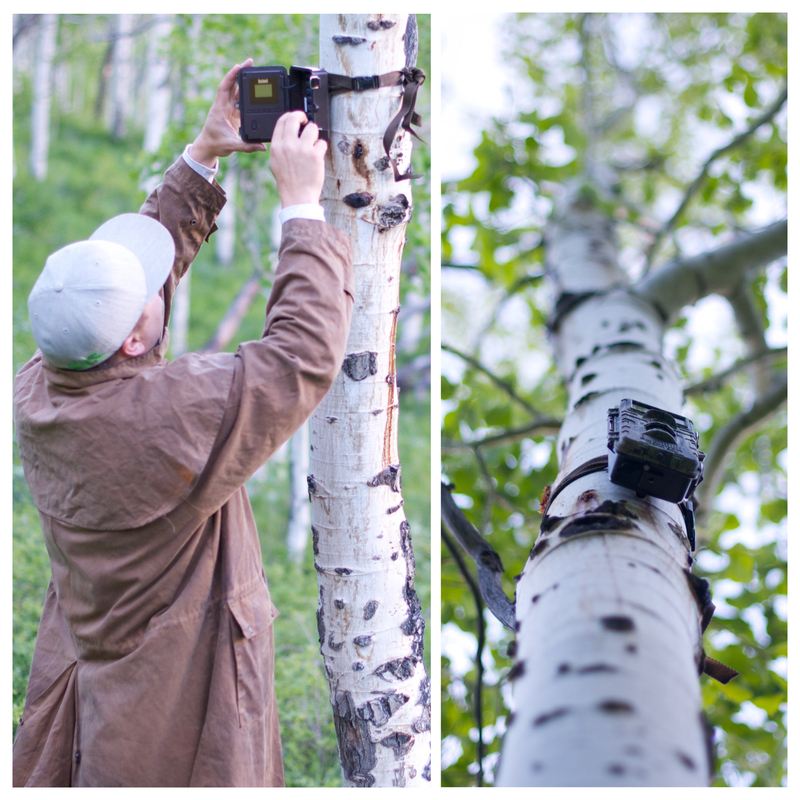 We started funneling through past video footage and past years’ trail camera pictures in an effort to take inventory. We tried to determine which bulls likely made it and which bulls were rumored to have been harvested? We weren’t going to wait for 2015’s new antler growth to start developing an early hit list. Legendary bulls from the Northwest corner of the unit to the Southeast corner of the unit began racing through our minds. We knew where we wanted to start and we patiently prepared. With 4 gaited horses, 12 trail cameras, four-wheelers, and several waypoints we set out for what would be many weekends and weeknights of scouting. Although fit as a whistle, my dad was experiencing severe back pain from the previous year. 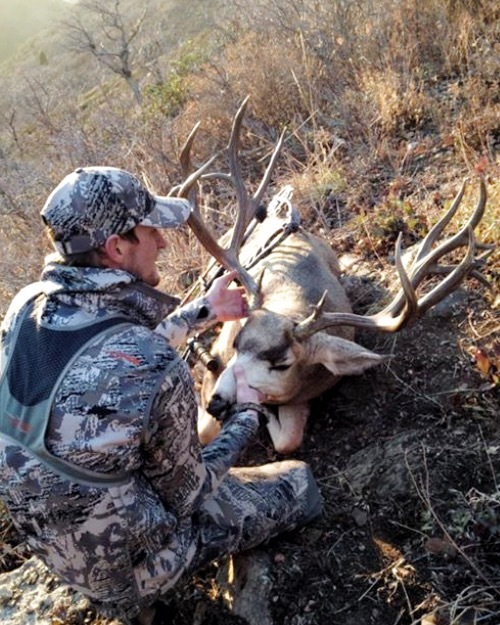 It flared at its worst while horse packing in on a mule deer hunt in 2014. Tough as an ox he joined us on many of our scouting trips but not all of them. I often worried that we’d mess up his back before we even got started. Over time our hit list grew 4 deep in addition to some alternate bulls we determined we’d take a long look at later in the hunt. We never banked on any of them sticking around so we continued to do the time. My longtime friend Evan Ault was putting in long hours as well. Help poured in from several people and we were grateful to have more eyes in the field. 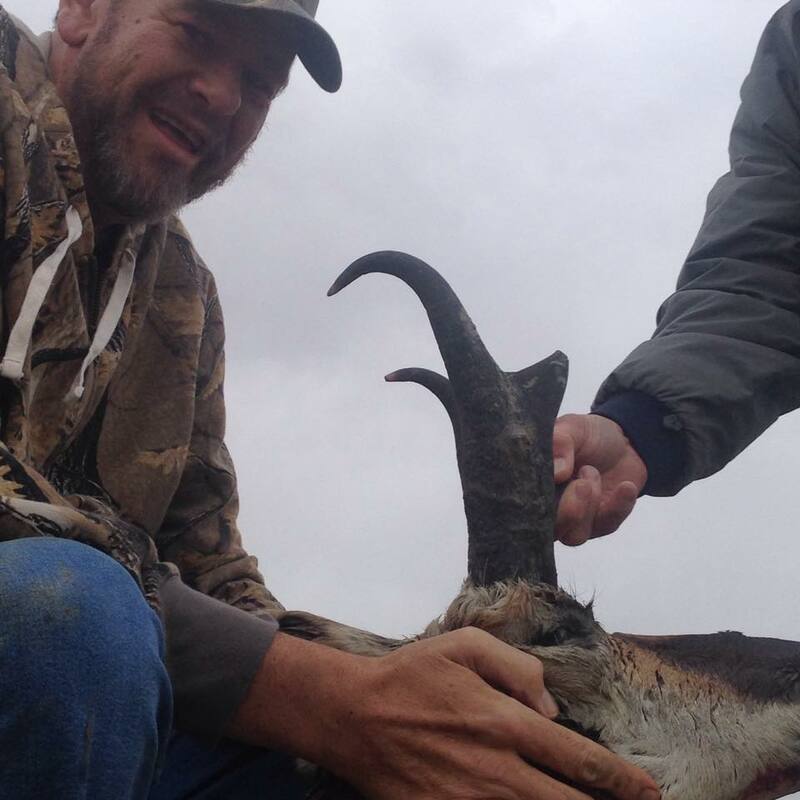 Bulls were turning up, horn growth was unprecedented, and this hunt was shaping up to be one for the books. Going into the last week before the hunt we felt we had taken great inventory of our key hunting areas. We were confident in the bulls we were seeing although a couple key bulls on our list hadn’t shown themselves in some time. We concluded that if things didn’t shake out in our favor it wouldn’t have been for lack of effort. Things were looking up. The archery hunt came and went. We made attempts to bow hunt these bulls but I would say our attempts were halfhearted at best. For us it was hard to get motivated knowing we had the time and weapon selection of a premium tag. Don’t get me wrong, bow hunting is exhilarating and challenging. Bow hunting is something we love. The idea of killing a bruiser with a bow was top on the list; however, with family and work commitments we were allocating our time to the rifle season. We bow hunted weekends. I had to travel for work the week before the rifle opener. We had determined we’d rest my dad’s back as well then hit it hard the Friday before the hunt. As I traveled, Evan took one last trip into the back country. It was Tuesday. I received a text that he’d located a stud bull not previously seen. He uploaded the video to dropbox and from Seattle I sat in my hotel room drooling. This new bull’s backs couldn’t be ignored! This bull would be added to the list! I couldn’t get back from Seattle soon enough. Thursday night we prepped and Friday morning we were up bright and early. We determined we would glass Friday morning, set up camp in the afternoon, and glass again that evening. We located the bull with the backs first thing Friday morning. He hadn’t moved far from his location earlier in the week. Fact is he was now moving a little bit slower. Earlier in the week he was a ruttin’ bull on a mission. 3 days later it was if he was hurt, beat down, and worn out. We figured he’d got in a fight with the wrong bull. I’d sure love to see that bull! That morning our bull fed along an opening as he walked gingerly to his bed. At this point we pegged him as a bull my dad would whack if an opportunity presented itself. That afternoon we took one last look at our trail cameras in the area. There wasn’t anything notable or new coming into the cameras until we realized we had actually seen that bull in 3 previous trail cam pictures. You see the Saturday before Evan spotted this bull on the hoof, we went in and discovered 3 pictures of him on one of our trail cameras. We looked over the pictures that Saturday and said, “he’d be a bruiser if he didn’t have nubby fronts.” We didn’t put any more thought into the bull until we connected the puzzle pieces on Friday afternoon. It was the same bull. 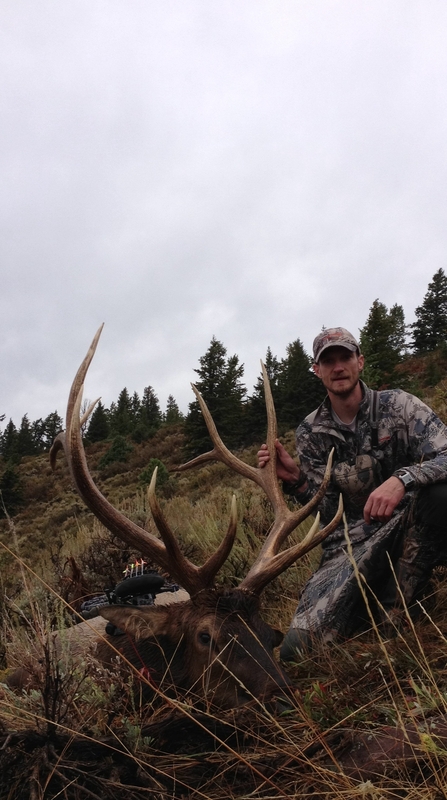 For the first time we began to question whether or not this bull should be on our hit list. We were concerned with his fronts, I was concerned with his fronts. The rest of the afternoon we evaluated the footage and the 3 trail camera pictures. Evan added this bull up to be 365” but maintained you’d never pass a bull with “backs like that.” I was less sure. My dad was just happy to be up hunting big bulls. I will never forget the smiles and the excitement expressed by my dad! That night me, Evan, and my brother in law Trevor Sharp got back to glassing. My father stayed back to cook dinner and relax his back. As we glassed we immediately located our bull with the backs. He hadn’t moved more than 100 yards. He was feeding and we were able to capture a significant amount of footage. We headed back to camp still debating whether his fronts warranted an opening morning bull. On the way back we located a bull that was also on our top 4 list. We hadn’t located this second bull in over 3 weeks so to say we were excited was an understatement. We were able to put 2 of our Top 4 to bed the night before the opener. As we rode back to camp the wind swirled the scent of dutch oven ribs, biscuits, potatoes, vegetables, and cobbler down the canyon towards us. We were soon to partake of most spectacular elk camp dinner ever served on no tell em’ ridge! That night I didn’t sleep. I’d love to blame it on the jitters but it’s mainly because I am a weirdo. My mind tends to play tricks on me when sleeping in the back country. Without further detail I will just tell you I am a pansy despite hundreds of nights in the field. To forget my ear plugs is a sure fire way to a crappy night’s sleep. I have issues. That being said, the alarms finally sounded. You know the feeling right? The butterflies of opening morning took over as we prepped our gear for the hunt. It was on! Trevor and I hiked to our pre-established vantage point. Evan and my dad got into position. Visibility slowly improved. Elk began to present themselves in the coolest ways. Soon Evan and my dad were on one of our reserve bulls. Do not shoot a reserve bull! Before trigger itch kicked in, Trevor glassed up the bull with the backs bedded at the edge of some aspens. It was determined Evan and my dad would move into position and get a closer look. The bull was still moving slow with each calculated step. He fed much of the morning within the same 100 yard radius. We captured a ton of additional footage. Within 30 minutes Evan and my dad were in position despite some intense back pain. 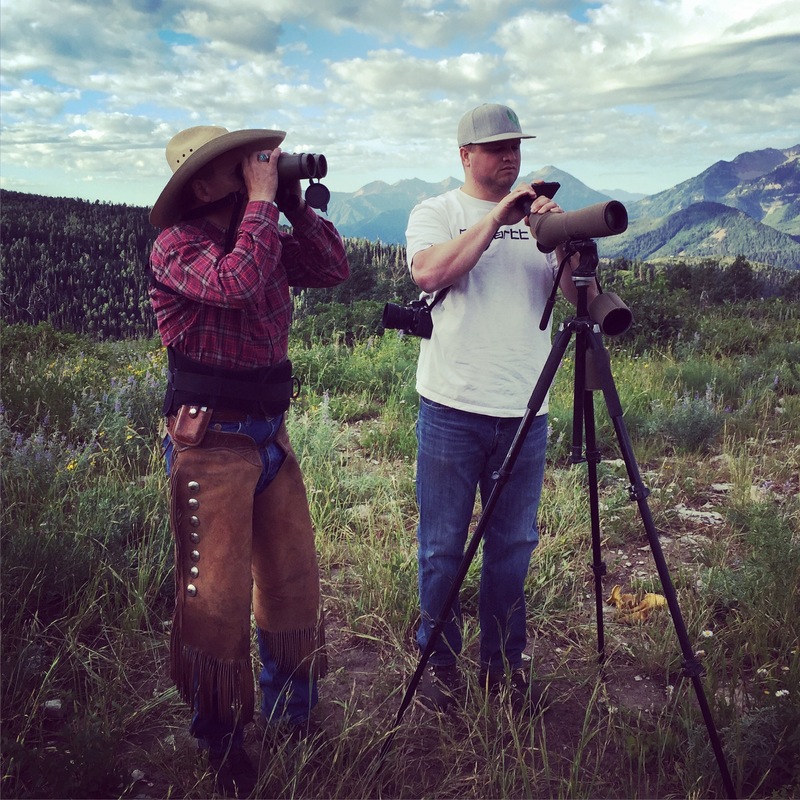 They were staring at this old monarch bull at approximately 375 yards. The final conclusion was obvious, you’d be crazy to pass this bull. “Get ready, he’s shooting.” We braced for impact but impact never came. What’s taking them so long? Are they having second thoughts? Again, they announced that he would soon fire. We braced yet again for impact. From our vantage point the sound of gun powder combusting was delayed. Looking through my glass at that distance things began with the bull hunched as he tried to gather his footing. “He shot, he shot.” The sound of a distant boom soon arrived. “He’s hit, he’s hit.” A epic tumble ensued and it was lights out. Some hunters stop and take it all in an act of reference for the animal they just killed. Some hunters react with emotion reminiscent of winning the super bowl. We joke that my dad was giggling like a little school boy. Love me or hate me but we’d just won the super bowl! From our vantage it was all high fives and irreverent outbursts. To me it was and is a celebration. It’s a celebration of time, energy, dedication, and hard work. Sometimes it’s a celebration of luck. At all times it is a celebration of the animal we’ve been blessed to harvest! Trevor and I made our way over to the bull. Initial reports from my dad and Evan was that the bull had zero ground shrinkage. Walking up to the bull confirmed those initial reports. On the ground this bull was still a bull you’d be crazy to pass on any day on the Wasatch. He is an absolute brute rarely matched characteristics. More high fives and irreverent outbursts issued. It’s a moment I’ll never forget. From the moment my dad’s 300 win mag discharged to moment we rolled into camp 12 hours had passed. We could not have done it without a team of 5. 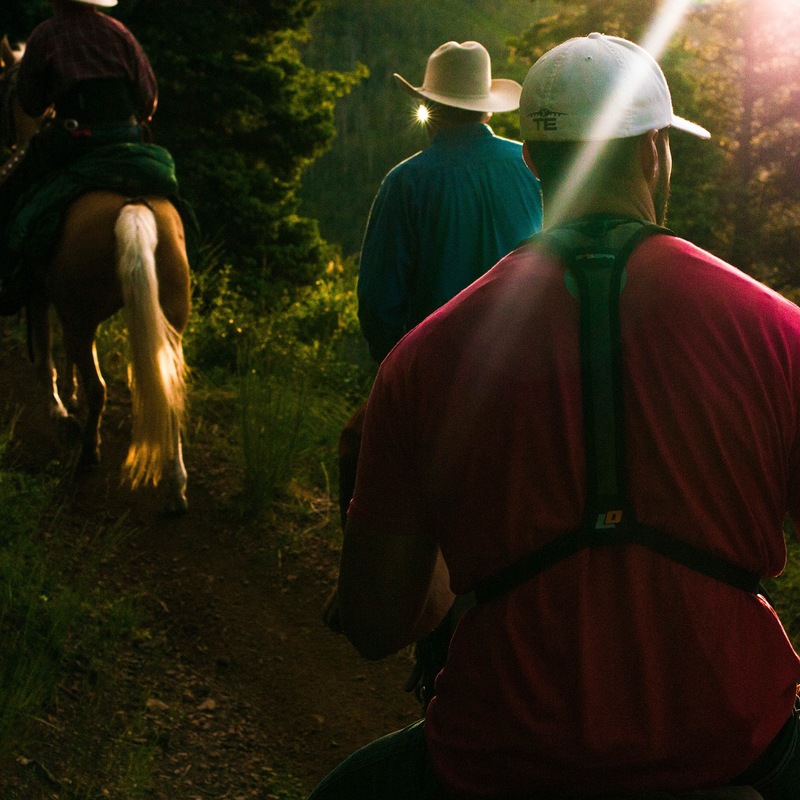 Later that afternoon Steve Ault rode in on horseback 15 miles to help retrieve us and get all that meat out of the back country. We had run out of water and to say he was a welcome sight was an understatement. I offered him a kiss. He declined. In the end, the day was perfect. The help was perfect. The look on my dad’s face was perfect. The bull was perfect. 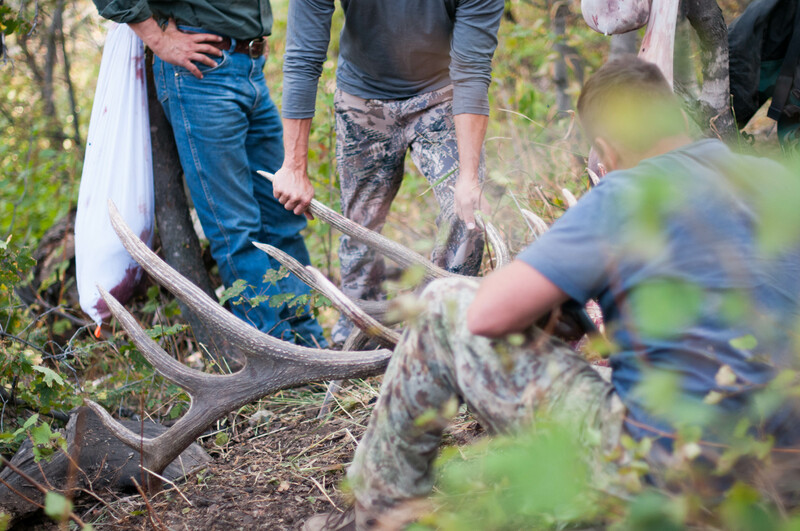 One of the greatest parts of elk hunting 2015 is this perfect story is only half way over. I also drew a Wasatch limited entry elk tag with 10 points. My hunt began November 7th so stay tuned for the last half of the story and season. WARNING: Hunting is dangerous. There is a high probability you will slip, wreck, fall, or trip while participating in this activity. You may experience exhaustion, lack of fluids, discomfort, insomnia, fever, disorientation, and possible death. In extreme cases you may receive death threats from animal right activists, government regulation on your weapons, and media crucification. Hunt at your own risk recognizing that in some cases you may also be hunted by the following predators: mosquitos, spiders, snakes, hogs, wolves, lions, and tigers, and bears oh my. This past week found me perched upon a high mountain point glassing monster elk. It was an unusually cold morning. Although mid-summer, I was freezing. My body temperature was dropping. This caused me to reflect on the above warning label and the dangers associated with hunting. I began to question my sanity. What was I thinking? What sort of craziness forced me into the elements at 4:15 am when I could have been nestled in my bed? It was at that moment that I realized the most probable dangers that lurk are not always as they seem. These 5 dangers are very real and worth taking into consideration as you evaluate the risks and rewards associated with hunting. Improved Health: A hunter may engage in varying levels of physical activity. Whether you #trainhardhuntharder or just plain #hunt you risk experiencing improved physical and mental health. Consider yourself warned. Increased Happiness: Go ahead, test it! Self Sufficiency: Hunting is the training ground for survival and self sufficiency. Your reliance on hormonal grocery store meat may be reduced significantly. You may experience an overflowing freezer and an improved survival skill set ideal for difficult times ahead. Fortified Relationships: Give it a try. Unplug. Unwind. You may find yourself focused on the present and the people in it. Greater Appreciation: You cannot appreciate an early morning until you’ve risen for it. You cannot appreciate God’s creations until you’ve witnessed it. You cannot appreciate clean and lean meat until you’ve harvested it. You cannot appreciate your ability to survive until you’ve tested it. You cannot understand the pursuit until you’ve pursued it. You cannot conserve and protect a species until you’ve valued it. Be careful as this represents unusual levels of gratitude in these entitled and ungrateful times. 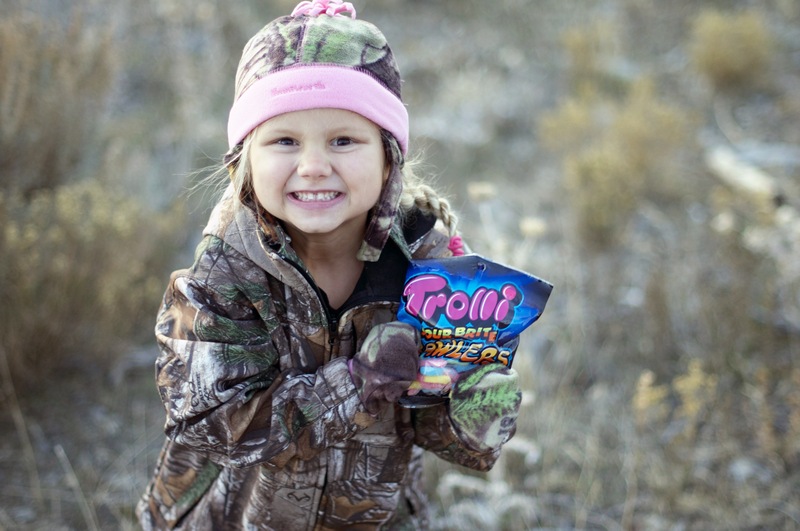 WARNING: Hunting will likely result in improved health and increased happiness. Other side effects could include a self sufficient lifestyle, fortified relationships, and a greater sense of appreciation in your life. If you experience these or any other symptoms please consult your local Division of Wildlife Resources office, your favorite guide, or your friends and family to plan your next hunt. I had an employer once teach that in life there are three types of people. There are “those that make things happen, those that wait for things to happen, and those that wonder what the [beep] just happened.” When it comes to hunting, which person are you? Are you going to make things happen? A very important part of making things happen includes summer scouting. Utilizing trail cams can be one of the best ways to understand the animals you pursue and the areas you hunt. I recently sat down with Ryan Carter of DC Outfitters to discuss the ins and outs of setting trail cameras in the backcountry. Ryan actively manages a string of over 40 cameras. The success of his clients is often unmatched. You could certainly say Ryan understands what it means to make things happen! 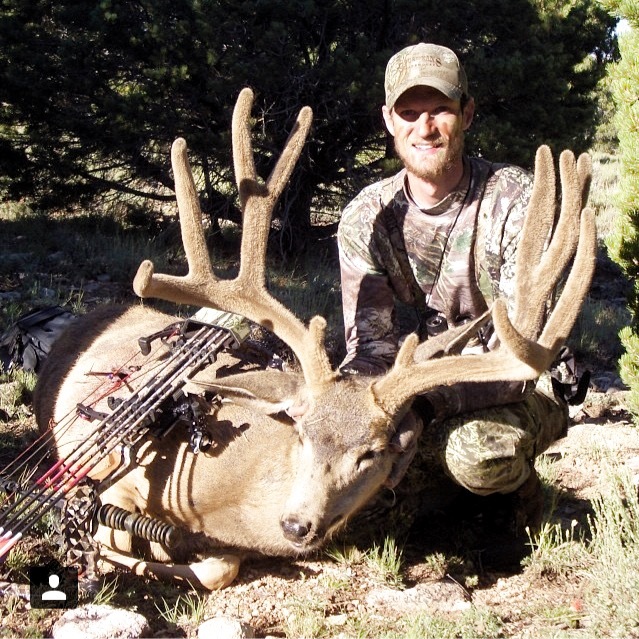 Proof of that is Rick Houghton’s DC Outfitters 2014 giant featured on Utah’s Top 10 Monster Elk of 2014. 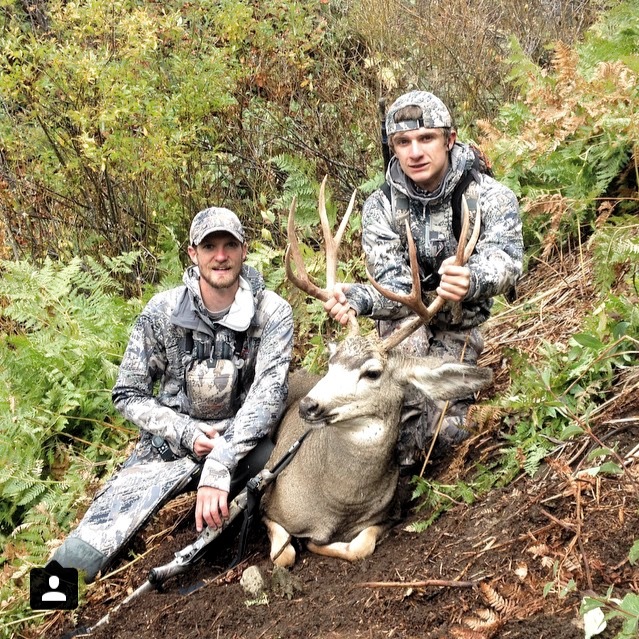 This is one success of many for DC Outfitters. Ryan brought up many important points to successfully setting cameras in the field. Some of these points may seem obvious; yet, we get in the field and forget. Let this be your reminder! Face your cameras to the North: By facing your cameras to the North you will alleviate any interference with the sun in the early morning, mid-day, and late evening hours. Nothing is worse than making it back to your camera only to find many of your pictures are white. Avoid a south facing set up at all cost. Get creative with your placement and face em’ North. Clear the area and create a photo path: Nobody wants a wind buck on their trail camera. Take a close look at your surroundings. If the wind were to pick up, would branches or debris activate your motion detector? Be sure to pack a saw and be sure to clear a photo path. Place your cameras at locations you are willing to check: You have selected what you feel will be your greatest setup yet. It is remote. It is untouched. You feel it’ll really produce but the reality is you won’t be able to check on it very often. You may not even get back to it before the hunt. Pay attention to your reality. It isn’t a great setup if you can’t check in on it. Buy what you can afford: It is important to understand that most cameras on the market can do the job. Clarity can be improved. Ease of use can be argued. Trigger speed, IR effectiveness, and distance are all valid points. In the end, you need to understand what is coming into your camera. You should be able to do so with a wide variety of high end and low end cameras. Simply buy what you can afford and don’t feel as though you need the best. Buy what you can afford to lose: It is unfortunate this even lands on this list. When referring to a lost camera, I am referring to thieves. There is little worse than a thief. Check the card if you must, but don’t be the low life type that takes a camera. Lock boxes can help; however, as Ryan has said, “lock boxes keep honest people honest.” In the end, if someone wants it bad enough, they’ll get it. You need to certainly buy what you can afford; however, make sure you buy what you can afford to lose. Pick camera locations that provide a trifecta of core elements: When selecting a spot for your trail camera keep in mind the obvious importance of food, shelter, and water. Do animals have access to these three elements near your placement? Check with local laws to determine if you are able to enhance the elements with attractants. State law may not be on your side: Let me preface by saying, if you see a trail cam in the field and take it you are an absolute waste of space. You are likely a poacher. You have complete disregard for others and their property. You are lazy. You are also welcome to never visit this blog again. That being said, if an item is left in the field for a specified period of time the law may consider it public property. This may include your trail cams, tree stands, etc. 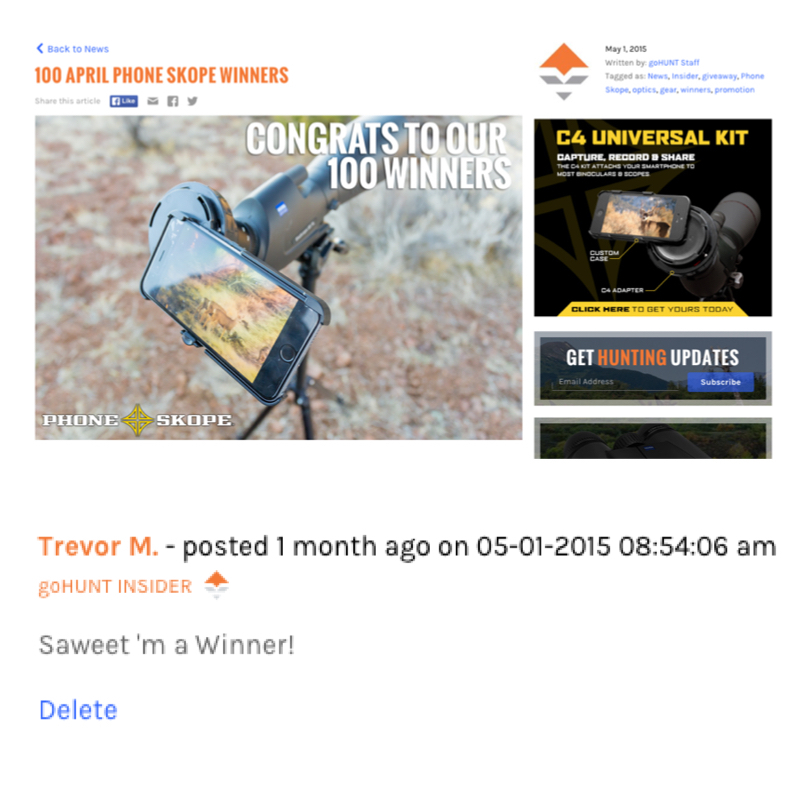 Your trail cam may get stolen. You may even know who it was that stole your property. There may be little you can do about it. As a result, keep in mind #5. Test the shot before leaving your camera: Are you cameras pointed in the right direction? It may not be enough to just “eyeball” it. With a little pre-testing, your shots can turn out much better. Take the time to test your camera. Is it taking the type of shot that is going to teach you the most about your setup. Take some test pictures onsite and adjust. Never forget your essentials: There is little worse than getting to you distant camera only to realize you forgot batteries, viewing device, and or SD cards. Before each trip, run through your checklist. Forgetting your essentials can set you back days or weeks in your scouting efforts this summer. Be cautious of trees that are perfect for scraping: Trees are the obvious go to for hanging your cameras. Trees are also the go to for back scratching and scraping when it comes to the animals you pursue. Evaluate the tree. Is it likely to become a scrape? 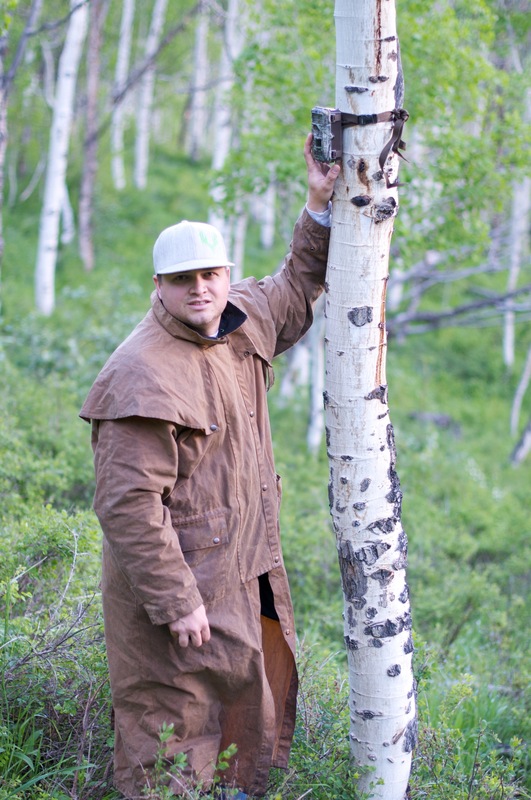 Adjust your plans around tree size and venerability to be knocked around by a big bull, buck, or bear. In the end, get out and make it happen. Many desire to experience success while hunting; yet, very few are willing to put in the time. 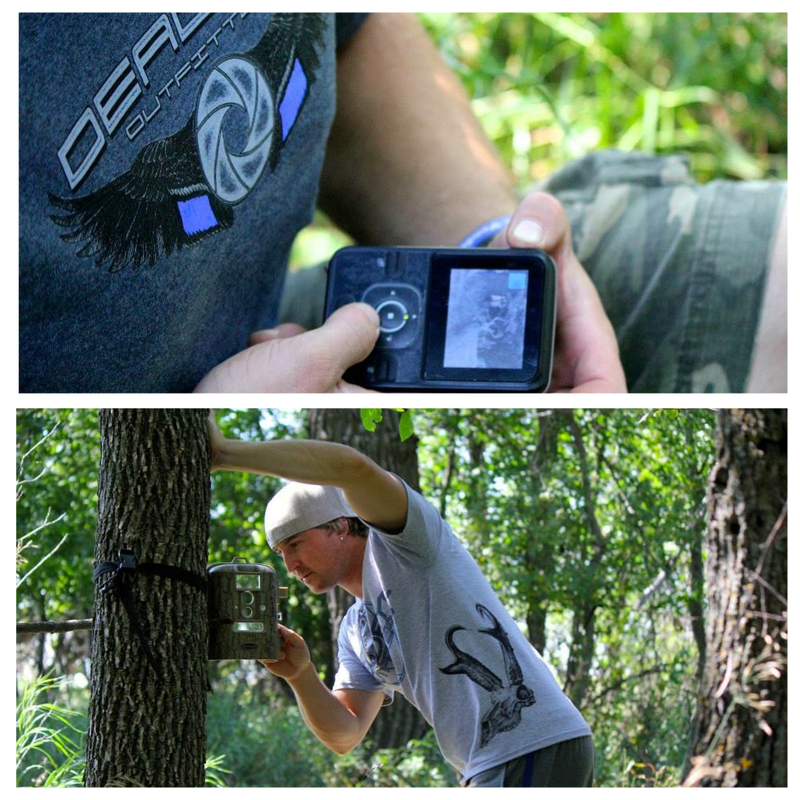 If you want to get the Outdoor bug, start by purchasing a trail camera. I love checking trail cameras. It can be likened unto Christmas Day and the excitement surrounding the unknown of what you are about to discover. Let’s make it happen! 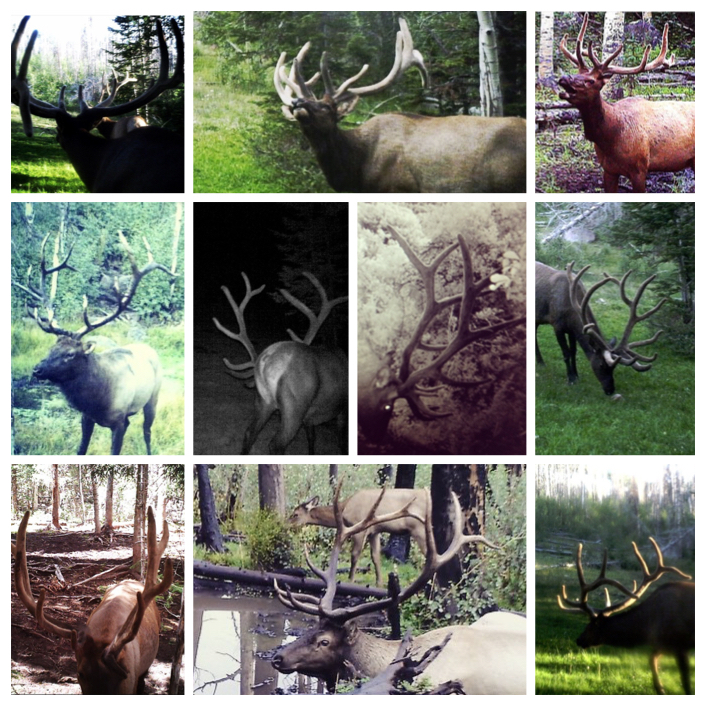 Special Thanks to all those who sent in some amazing trail camera pictures. (Cover Photo) Hazen Downward, Trevor Hunt (Pine Creek Outfitters), Hunter Bloxham, Sawyer Peacock, Jaron Dansie, and Jeff Pearson. I love talking with legitimate DIY hunters. Special rights are reserved for the DIY hunter. DIY is short for Do It Yourself and is synonymous with hard work and preparation. In its simplest terms, a do it yourself hunt is “unguided.” You are on your own. You might solicit the help of friends and family; however, nobody is in the business of guiding you to your end goal. It is raw. It is difficult. It is primal. Now let me preface by stating I have zero qualms with guided hunts. I myself have enjoyed guided hunts in the past. I hope to enjoy a few in the future. Reputable guides can provide an experience that is tough to replicate or match. That being said, this article is for the Do It Yourselfer! There are not many DIY hunters that seem to produce year in, year out. If I stumble upon one, my interest is peaked. What makes them successful every single year? What strategies do they employ? What equipment do they use? How do they find balance in life given the time required to aggressively pursue a DIY hunt? I stumbled upon @utahmulies on Instagram. Lance Harris is the man behind the @. 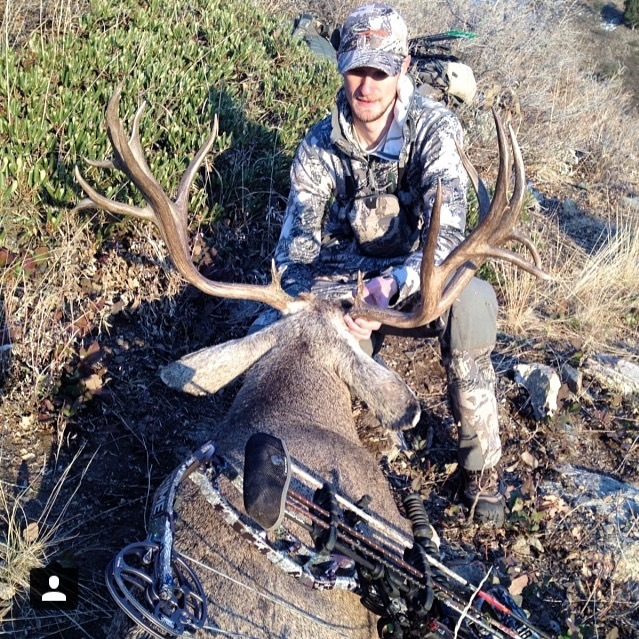 His 2013 Utah archery general season Wasatch buck is an absolute standout. As you peal back the onion, you find that he has been successful with the bow more than just once. It is becoming a habit. 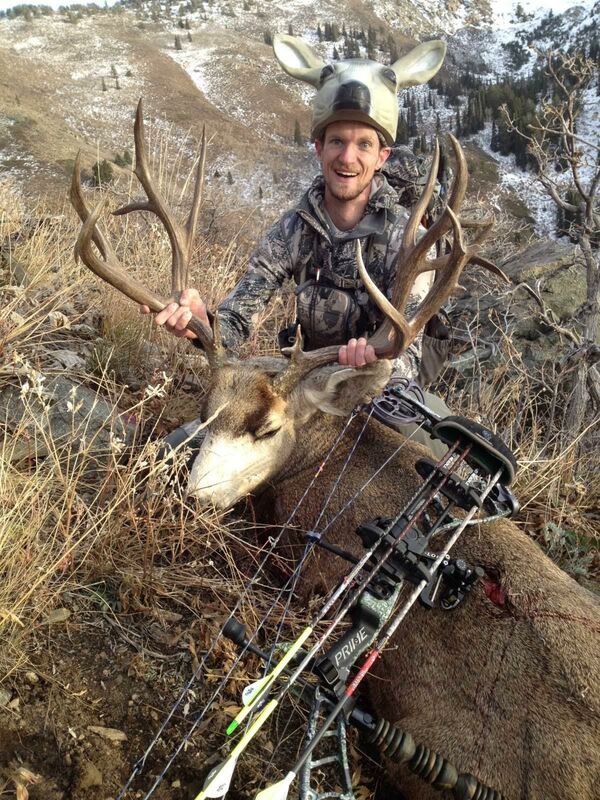 From his stud archery bull on Utah’s Diamond Mountain, his Henry’s archery buck, and a few awesome Wasatch front archery bucks, I wanted to learn more. I sat down for a Q&A with Lance to see what I could learn about DIY hunting utahmulies style. To say this article has some great advice would be an understatement. 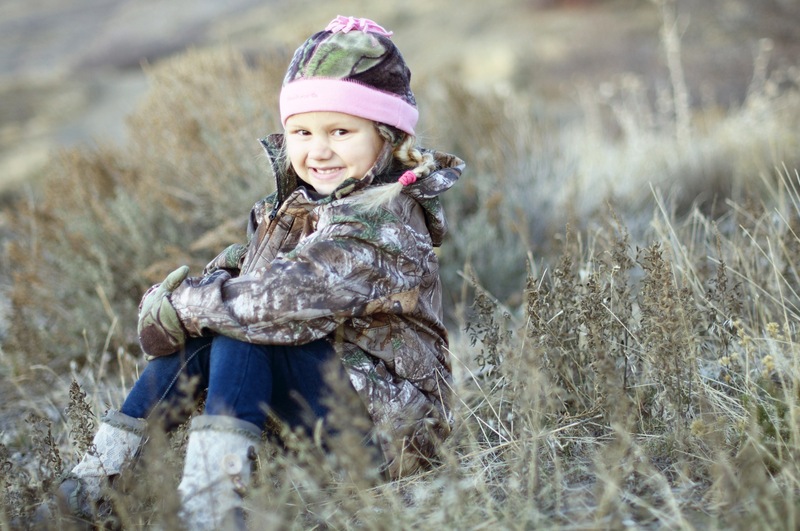 When did your passion for hunting and the outdoors begin? It started with my Dad. I don’t remember a time that my brother and I weren’t following my dad around hunting. We were always hunting something, anything. During the summers we were out fishing, camping, and hunting. It all went together. Tell me about your first harvest big game animal? I can remember my first big game animal like it was yesterday. 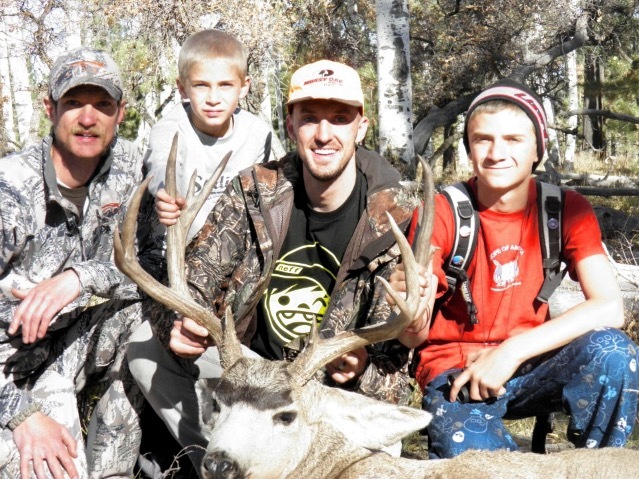 Me, my dad, and my brother were hunting in Southern Utah just outside of Mt. Carmel Junction. It was a rifle deer hunt. We had hunted hard for 5-6 days. We hadn’t seen anything we wanted to kill and it was our last morning. The truck was loaded. We were just going to watch for a couple more hours than head home. Really out of nowhere I glassed a buck feeding in an opening. He was just munchin’ on brush. Since I spotted him, I got first crack. We drove down the road and tried to get in front of him. Eventually we got out of the truck and ran further down the road to where we thought he would be. We split up. My dad and my brother went one way, I went the other. I found his tracks crossing the road. He had gone down in a ravine. I then heard him coming through the brush. He popped up at about 75 years down the hill and I jacked 2 shells into him about as fast as I have ever shot two shells in my life. I hit him both times before he even dropped. As a big 20” 2X3 with 3” eye guards, he was an awesome first deer and I was super stoked! So what has been your most memorable hunt to date? That’s a tough one. I have a lot. It would have to be my big Wasatch buck. It’s mainly because of how much time I spent on that hunt. I came so close on a couple of other big animals. After all that effort, it meant a lot to kill such a huge deer with some of my best friends… to see an animal that size, public land, in our backyard. He is just a magnificent, big, old buck. To be able to harvest him with a bow after a few guys chased him with rifles just weeks earlier is crazy to me! I don’t know if I will ever be able to top it. Let’s talk about your bow, how often do you shoot it? As much as I can. You know as a kid there was a bunch of us who had bows. Our dads all bow hunted. We took our bows everywhere and would shoot in everybody’s back yard. That’s what we did. So I have always grown up with a bow but it has taken a long time to be successful. I look back at hunts when I was younger and there is no reason I shouldn’t have killed big deer. Whether it was inexperience or making the wrong move, it just didn’t work out. I don’t shoot every day. I don’t have time. It may be that I don’t make time. With family and work sometimes it’s tough. Obviously any bow hunter should shoot as much as they can. I try to shoot at least once a day but it doesn’t always happen. On average I shoot close to 4-5 a week. What do you do to simulate the varying conditions you may run into as a bow hunter? We built a course up on the mountain. We take our own targets up there and shoot uphill, downhill, realistic shots. We don’t just practice flat land. I have never had a flat shot in any hunting situation. We also try to always practice at our max. If your max is 50 or 60 yards, spend the majority of your time at 50 or 60. Unless I am setting up a bow, I rarely shoot 20, 30, and 40. It is usually 80, 90 and 100. I don’t do this so that I can kill an animal that far but when you get used to shooting 80, 90, 100, the shots at 30,40,50 are that much easier. The other reason I practice out that far is because it makes your closer shots that much better. At long distance any variance in form makes a huge difference and is magnified. Longer distances teach you to hold your form and follow through. It gives you the knowledge you need to tweek or adjust your set up. Also, if I hit an animal at 30, 40, 50 and it runs to 80 and is still standing, I have the ability to put another arrow into him and anchor it. What would you say is the max ethical distance with a bow? Going back to distance and practicing, everybody is going to be different. Factors such as draw length, poundage, and arrow setup vary and that comes into play. For me, I have a longer draw length. I am shooting a really heavy arrow (Easton FMJ). I practice 80,90, and 100 consistently. Every situation is different, I have killed animals at 40 yards. 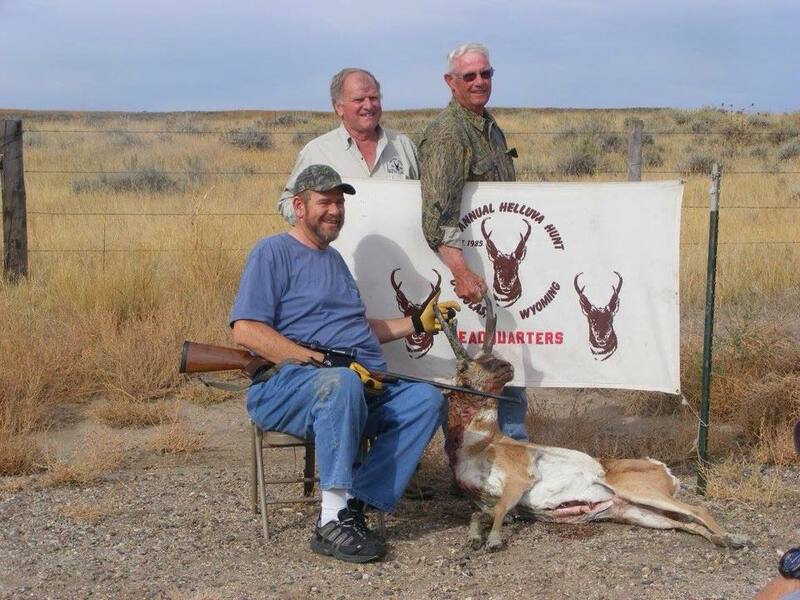 I shot my antelope last year at 84. I don’t like shooting that far but that situation happened so fast. I ranged him 3 times because it didn’t seem that far. The reality was I was confident in the situation. I knew I couldn’t get closer because of the terrain. I had practiced that distance. When I drew and held, I wasn’t shaking all over the place. I was confident in my hold and I center punched him. He didn’t even flinch until it was too late. If I can keep it 60 and under, they’re dead. But again, everyone is different. You have to go with what makes you comfortable. If your max distance is 50 yards, great… stick to it. Don’t use the justification that “oh it’s a big buck or bull, l’m gonna shoot 80 yards just because it’s a “big racked” animal. I hate that. We owe these animals more respect than that. Just because it’s a big deer doesn’t mean you have to just start launching arrows. I’ve noticed in social media you enjoy bow fishing, how does that prepare you to hunt big game in the fall? 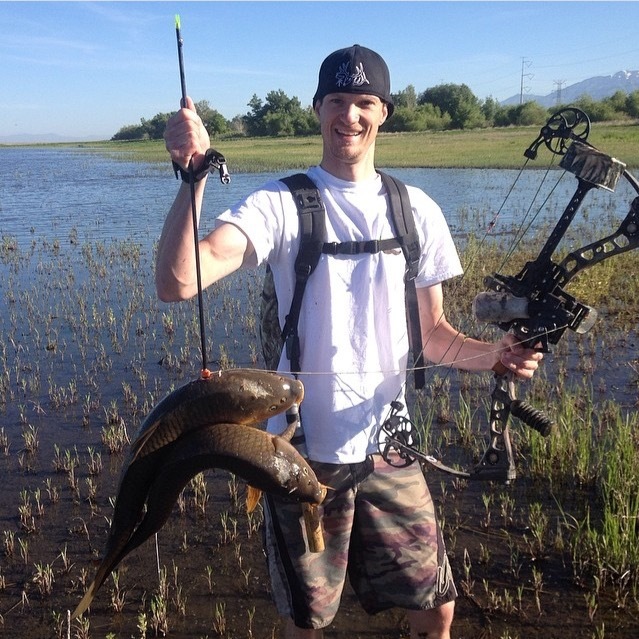 Everyone needs to start bow fishing. There are so many carp in our waters. They destroy habitat. They ruin breeding grounds for walleye, catfish, and bass. They just tear up the ground. They muddy the water and they’re fun to shoot. Its legal in Utah and it’s a lot of good practice. There is a point when they become dumb like a rutting mule deer. When they’re spawning they’re up in the shallows and you can schwack a whole bunch. A lot of the times you have to use your bow hunting skills to sneak up on them. I was out just recently with my boy and we spooked a few cuz we were talking or Nixon wasn’t walking quietly. They don’t just sit around and wait. You have to be quiet. It’ll keep you on your toes. It’ll also keep your arm strength up. You can get your family out and do it. You just have to have a fishing license. It is a lot of fun. 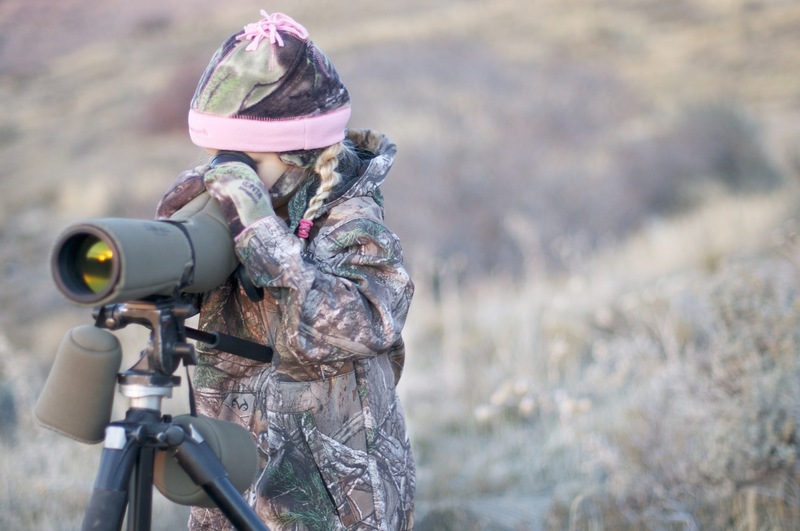 How do you include your young kids in your passion for hunting? Anytime I get my bow out, my boy gets his bow out as well. He loves it. He has been shooting little toy bows since he could pick them up. He will be 5 in December. I have had him on a lot of hunts with me. When my wife was working, that was often the only way I could go. Luckily, family has been willing to come up and watch him while I’ve put a couple stalks on some deer. I will also put him in the back pack and take him bow fishing in the summer. 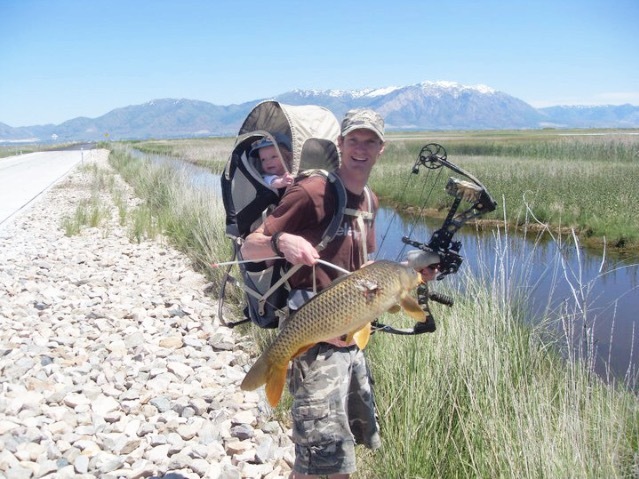 That’s another good thing about bow fishing, it’s easy to get your kids and the family involved. Talk with me about your success the last couple of years. What if anything is different in your approach to hunting and how has that made these last couple of years a huge success? The biggest thing is preparation. Spending time watching animals and patterning them. You need to know where they’re going and what they’re doing. Whether I am hunting or not, I love watching animals. I love watching elk, antelope and deer. They are amazing animals. I love watching them especially when they are growing big velvet antlers. Patience is another important key. Once you have patterned these animals, you’re best equipped to know when and where to move. That process takes a bit of patience. Sometimes you gamble and you lose but that’s the fun of the chess match. Lastly, when stalking an animal… plan your route. It will change but you do have to be ready for change. Very few times does it work out perfectly but still have a plan and adjust to change. If your plan doesn’t work, how often do you think you can bust a big game animal before you’ll never see it again? I busted my Diamond Mountain elk and his cows opening morning yet killed him 2 days later in the exact same spot. They have their patterns. From my experience, the big game animals I’ve hunted come back to their same spot. In 2013 the deer I was hunting (before I killed my big Wasatch buck) I had 4 times at under 90 yards. I never could get a shot. Something always happened. They busted me or they winded me but they always came back. 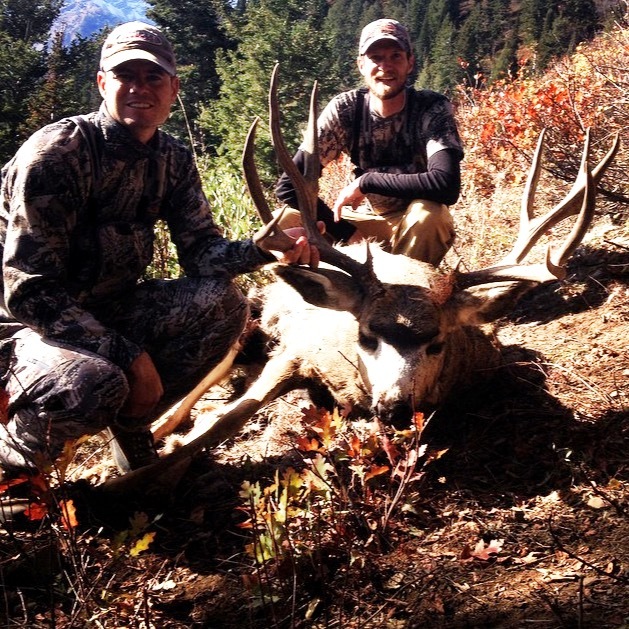 So you weren’t specifically going after your big Wasatch buck? I wasn’t. There were 3 other bucks in there that I was hunting. Big 4 points, 170-185. I hadn’t seen the big one yet. So did you wet yourself the first time you saw him? When I walked up on him… yea. Honestly, I didn’t realize he was that big even when I shot him. Long story short, I went in to find one of the three bucks we were hunting. My friend Wyatt spotted some does on a ridge but he didn’t see any bucks with the group. He decided to glass a canyon to the south. I knew there should be a few bucks in there because I’d been hunting them since August. This is mid-November. I pulled my spotting scope out to see if I could spot those does he’d seen. It was the middle of the rut. There should have been some bucks with them. It was 1500 yards away. It was first thing in the morning. I spotted the does and later a little four point that came between the does and ended up laying down on the skyline. As I zoomed in on him I caught movement on the right edge of my scope. I adjusted my scope. I couldn’t make anything out but I knew there was a deer in there. A minute or two went by and he finally moved his head. I was guessing a 185-190 buck. You know, a solid stud buck. Little did I know he would end up at 222 2/8”. It was long distance and early in the morning so I didn’t get a good look. All I knew is he was a shooter buck. I ran over and told Wyatt. We got everything set up. I threw my Be The Decoy on my head and I set out to get above the deer. They ended up going down a little draw. I went past them and he was down with his does about 200 yards. He was in knee to waste high brush and I didn’t have any cover to sneak in on them. I waited and watched to see what they would do. As I am waiting I peeked back in the canyon and noticed he was now about 40 yards above his does looking back down on them. He started walking back up that draw to where I had originally seen him. I remember thinking – What are you doing? Where are you going? I don’t know if he had already bred all those does or they just weren’t hot. Maybe he was just heading off to find something else. What I do remember thinking was “you gotta move now.” I ran up the ridge as quick as I could. Wyatt said from his perspective he could see us both moving up the hill in tandem. I came up into a flat and began guessing where he might cross. I knelt down, knocked an arrow and looked over and just that fast he was coming out of the draw. He looked right at me and didn’t miss a step. With the Be The Decoy on he kept on coming. I grabbed my range finder and ranged him. He was about a 150 yards and came up to 75 yards. He then started to turn and go up the ridge instead of right at me. He went behind a little tree and when I drew back, he stopped and looked at me. He didn’t seem nervous. He looked at me in the mood of “hey what’s up?” I don’t know if he thought I was a doe he’d just left but he was not nervous at all. I settled my pin as best I could and let one fly. I initially hammered him at 65 yards. You just traveled to Arizona and accepted a Pope and Young award for that buck, tell us about that award? (www.pope-young.org) Yes. So for the recording period of the 2013-2014 he was one of the biggest animals harvested with a bow and recorded worldwide. He really is a DIY public land beast. I see a lot of pictures with the Be The Decoy product on your head. What is your association with Be The Decoy and does it really work? 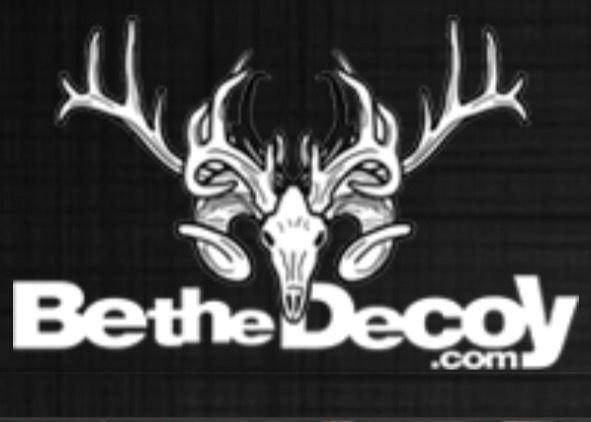 (www.bethedecoy.com) So I got to know Be the Decoy with my involvement at Hunter’s Nation. We giveaway a Be The Decoy every month. As a result, I got my hands on one. I’ve used other decoys (Heads Up Decoy and Montana Decoy) and was pretty impressed with what you can get away with if used properly. What I like about Be The Decoy is it’s on your head and you really don’t have to worry about it. You don’t have to mess with it while trying to hold and operate your bow. It is already there and it is already in place. It is a familiar object that big game animals recognize. Yes, they do work. I have used it on elk, deer, and antelope. I think it works best on elk. It seems like you can get away with a lot more on elk. Deer it works really well. With antelope, I felt it gave me enough time to get a shot but that was about it. Antelope are pretty sketchy as it is but it gives you time to sneak in and get a shot off. On my Diamond mountain elk hunt I used it. Before a wind change, I had a big bull and his cows look at me 4-5 different times only to go back to feeding. They definitely work. Owners Branden VanDyken and Mark Renner are great guys as well. I have got to know them over the last couple years and I support their product. Used properly and in the right season, they are very effective. What is Hunter’s Nation? (www.huntersnation.com) You pay $20 for a one year membership. 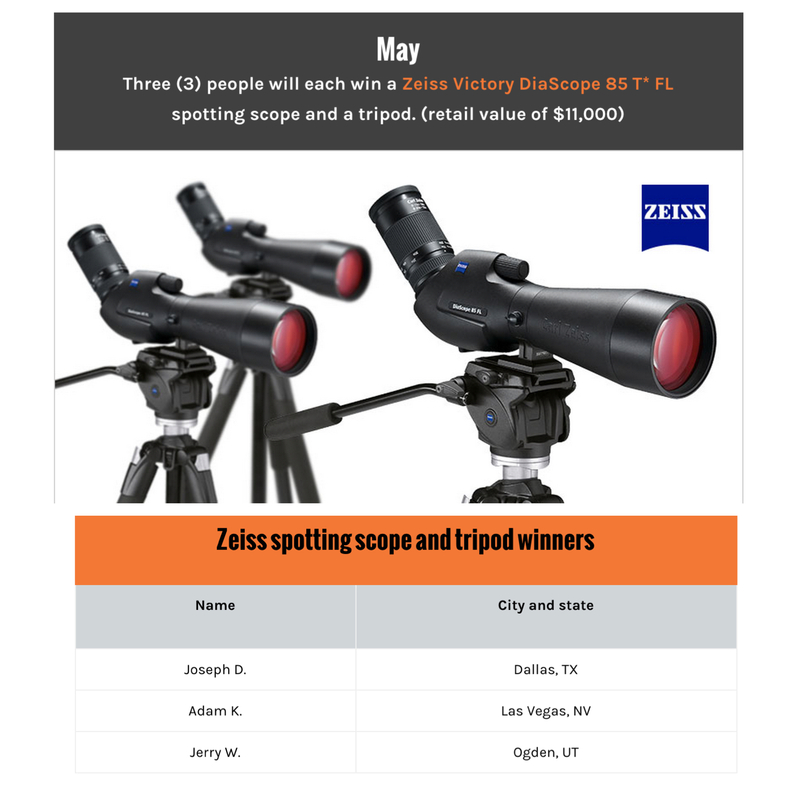 Every day you are entered into giveaways some of which are valued at as much as $700+. At the end of every month we give away a fully guided big game hunt. By being a member, you also get discount codes with a lot of our partner companies. You can get discounts with a lot of the outfitters we line up as well. It really is a no-brainer. What is your weapon of choice? Weapon of choice would be a bow. What do you shoot? (www.g5prime.com) You name a bow, I have shot it. As for the last couple of years, I have been shooting Prime. This year I have the Prime Rival and I am excited to see what I can put down with it. When you go hunting, what are 3 essentials that you do not leave home without? (Excluding your weapon). 1. Binoculars: You can do without a spotting scope. It’s nice to have, but your binoculars… I don’t go anywhere without my binoculars. Even when you are in close, it’s nice to see holes or trails in order to develop a plan. How important is quality of optic? You can get by with anything; however, in early morning or late evening scenarios the quality of optic can make a big difference. Clarity and visibility is important. So binoculars would be my #1. 2. Range finder: If I was hunting strictly with a stick bow I wouldn’t worry about a range finder. With a compound bow and my set up, a range finder is a must. I shoot a single pin Sure-Loc site. I have a site tape. I range it and dial it to whatever yardage I am shooting. If its 43 yards, I set my pin for 43 yards. Do you lose valuable time in that process? In my opinion, no. I have been shooting a single pin site since 2008. It does take some getting used to if you are used to a multi pin setup. For me to range, set my pin, draw and shoot I feel I am just as quick as someone shooting a 5 or 7 pin. In my opinion it is more accurate because you only have 1 pin to focus on. You have a bigger site window. You don’t have all those pins taking up half your site. Plus the accuracy is a huge draw. Like I said, if you are shooting 43 yards, you set it for 43 yards. If you are shooting 45 yards, you don’t have to split your 40 and 50. 3. Gear (clothing): Whether it is Sitka, Kuiu, Core 4 Element, First Lite or Kryptek, there are a lot of great companies out there. It makes a big difference. These companies provide top end gear. They have layering systems. You can regulate your temperature as you are hiking or layer up to sit and glass. You need to have the ability to layer properly with material that wicks moisture well. A lot of these lines are built with spandex so it stretches. It moves with you. You don’t have the bulk of some of these lower end clothing lines. I don’t think it makes you a better hunter, but it does make you more comfortable and able to hunt more effectively. 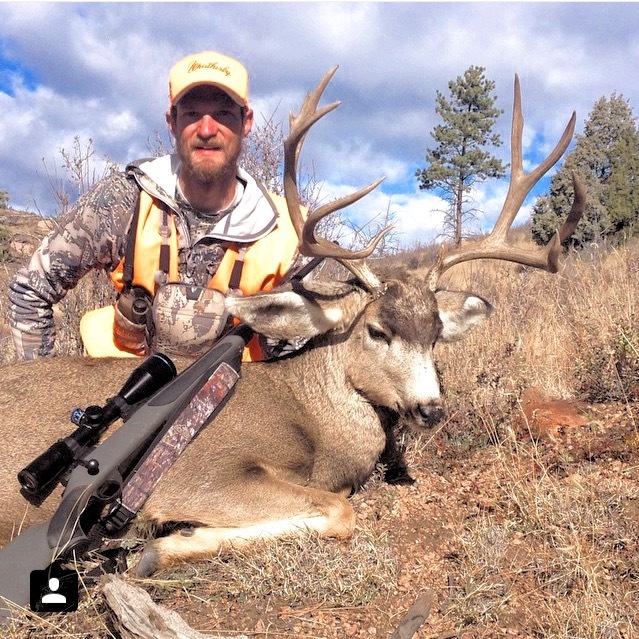 How much preparation and time really goes into killing a big high country mule deer or elk? There are guys that get lucky. They happen to wander into something. Congratulations! That never happens to me so preparation is almost year round. I try to stay in top shape as far as endurance. I am shooting my bow year round. I am working on my form and I try to really get to know my equipment. I am hiking in the mountains. In 2010 I drew a henry mountains archery tag. I was probably in the best shape of my life. I was doing a lot of running, a lot of pushups, a lot of shooting. I remember my dad told me, “you’re not gonna out run these deer.” I told him, “I know but when I get up to them I don’t want to be out of breath. I don’t want to be huffing and puffing so that I can make a shot.” You really are never gonna out run these deer. They live there and it’s just physically impossible. So between cardio, shooting, and scouting, it’s almost year round. I notice you are often with the Mt. Ops team, what is your association with Mt. Ops if any? (www.getmtnops.com) It’s a fairly new company but I have known those guys for a while. Casey and Jordan are some awesome guys that have the same passion for the outdoors that I do. Their products are awesome. I am not sponsored by them and I am not endorsed by them. I do use their products and I notice a big difference in my cardio and my hiking. I notice a difference off the mountain as well. Take a Blaze energy shot and hang on because you’ll have energy for the rest of the day. 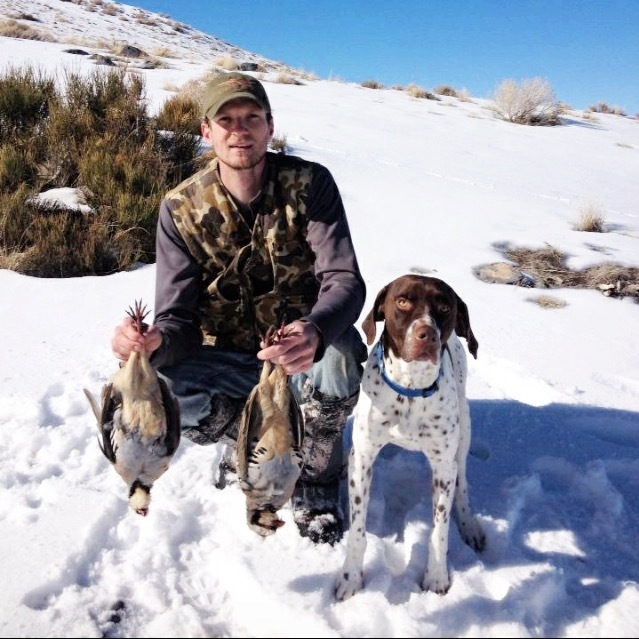 How do you find balance between work, family, and chasing big game? You marry right. My wife puts up with a lot but she knows and understands that I have grown up with it. It’s not something I can just stop doing. She definitely needs a high five, a pat on the back, a props, whatever you call it for all she puts up with being married to me. But yea it’s tough. Before we had kids it was so easy to sneak out but then you have kids and your responsibilities change. If you could pick any 3 tags in the state of Utah, what would they be? I am hoping I draw Antelope Island this year! Ok, excluding Antelope Island? To be honest even if I drew an Antelope Island tag it wouldn’t mean as much to me as my Henrys or Wasatch bucks. It’d still be fun. That being said, a Henry’s or a Pauns deer tag would be at the top of the list. I love to hunt everything but if I had the choice, I’d hunt mule deer. It’s what I grew up with. I do love elk. I love listening to them scream. Deer do not make noise. 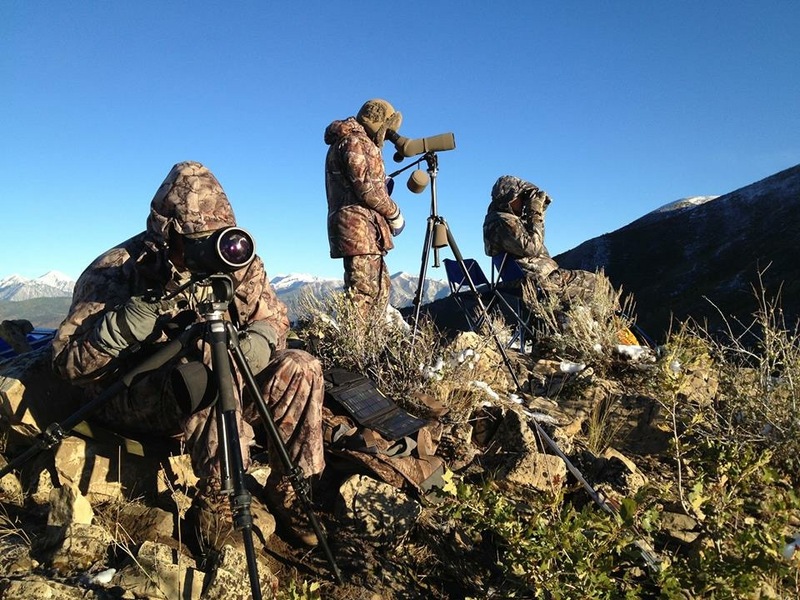 To kill high country mule deer, it’s a chess match. It’s a game of wits. You can’t bugle them in. That fact to me puts a mule deer up higher on my list. They don’t make noise. Now, I have killed an elk but I want to kill a stud. You know a 350-360+ bull. A San Juan or a Monroe elk tag would be awesome. I have never killed a bear or mountain lion so last of all I’d say somewhere for a bear or mountain lion. There is often a bitterness towards big money and guided hunts. 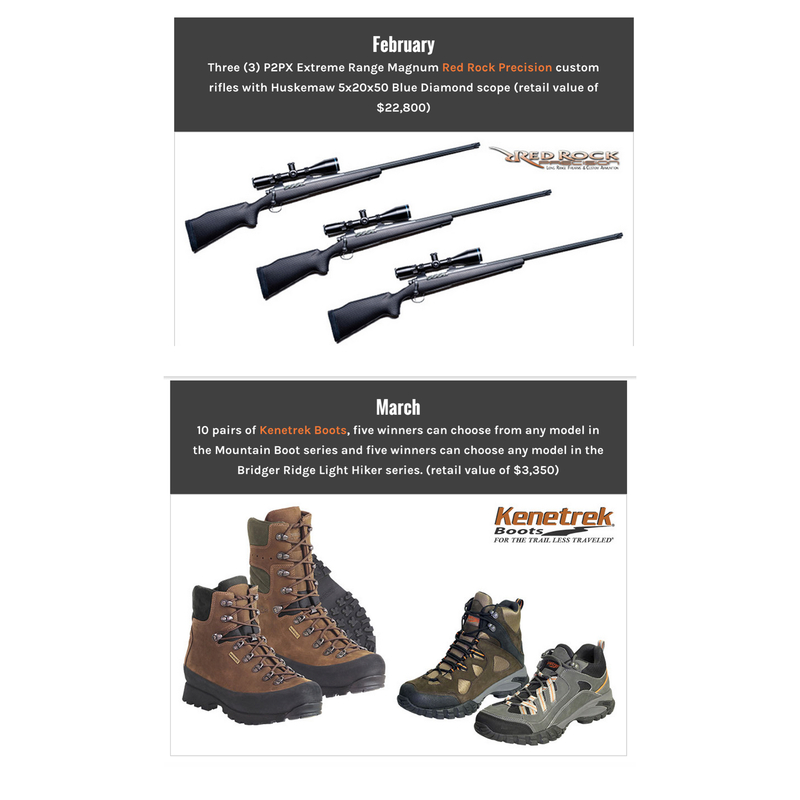 What is your prospective on spending big money to hunt big game animals with a guide? I would definitely fit in the group that is a little more proud of the DIY. I have no problem with people utilizing and paying for a guide service. If you have the money to do it. It doesn’t affect me one bit. It can make a lot of sense if you have the time and money to hunt multiple states. In the end, someone that can get in there and do it themselves ranks a little higher in my book. 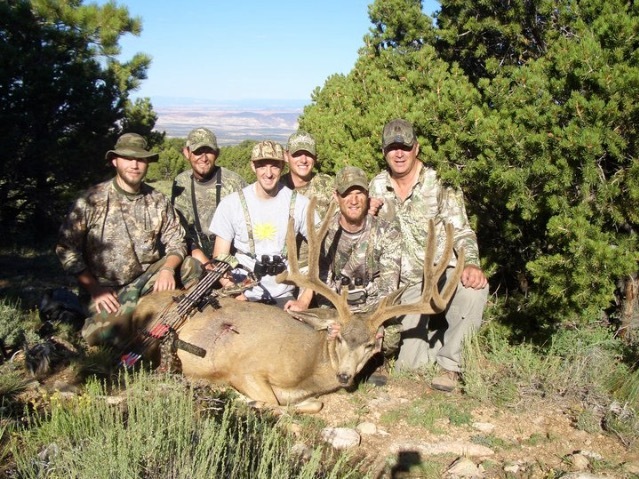 What would be your advice to someone that wants to get into hunting the western states and high country big game? A few things I would say. First, be in shape. Do yourself a favor and get in shape. You owe these animals the respect of being in your best shape. That is often necessary in order to get close and make an ethical shot. It is often required to get that animal out of the back country after you shoot it. Do not leave meat behind because you couldn’t physically do it. I pack the meat first and leave the head and cape last. More motivation to get the tasty meat taken care of then come back for the rack. Second, buy the best equipment you can buy. If you are a bow hunter and your max budget for a bow is $300-$400, buy a $300-$400 bow. Practice with it and know it. If it’s a rifle. Again, buy the best equipment you can buy. Lastly, have fun. We get to enjoy some amazingly beautiful, rugged country. Don’t make it about the score of the rack. If you kill an animal, whether it be a 2 point, 3 point, 4 point or a 200” deer, respect it. You killed it, respect it. 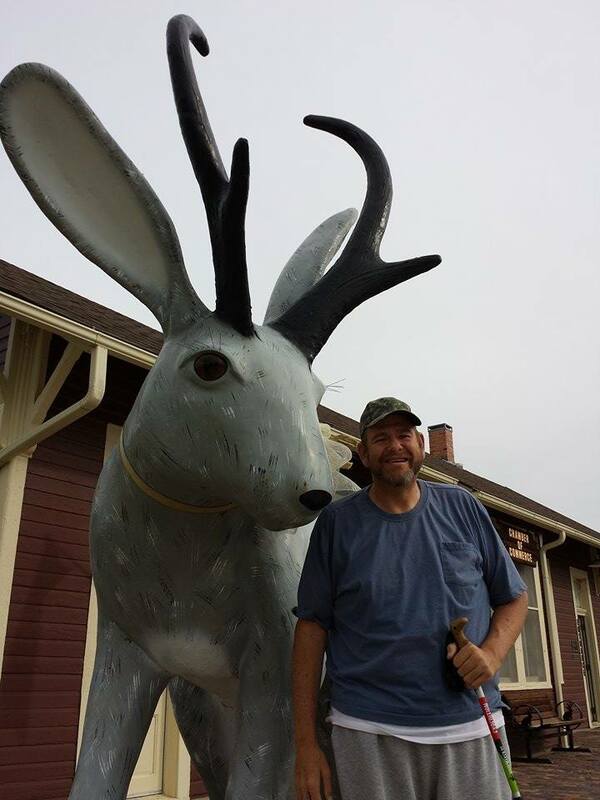 Don’t use the excuse “well it’s not the biggest deer on the mountain.” There will always be bigger. If you kill a 2 point. Awesome, you killed it so be proud of it. Own it. If you’re gonna be ashamed of it, don’t pull the trigger. Go out and have fun and respect every animal you kill.